April showers may or may not be in your part of the world, but spring is starting to feel more spring-like for sure! This month we will be focusing in on Poetry Month activities, exploring different types of poetry and sharing projects and activities to help your children or students learn more about this fun form of writing. I’ll be sharing some FREE snippets here and on my email newsletter. For the full resources, please visit my TeachersPayTeachers store! We are also heading into primo PCS season for military families. This means that families around the world are packing up their whole lives, saying good-bye to friends, and getting ready to venture into the unknown. To help military families get ready to PCS, I’ll be sharing tricks and tips from my own military moving experience AND from the classroom teacher’s perspective. I’ll post checklists, timelines, and ideas to ease the transition for everyone! 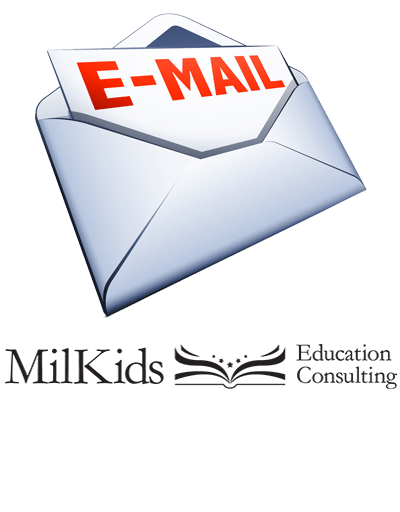 How can MilKids help you this month?